Selecting an auto service and repair shop can be difficult with so many options. And there’s always a chance that other auto repair shops could take advantage. At Sussman Automotive Group’s Honda, Acura, Mazda, Hyundai, Kia and Genesis dealership service centers we promise to only do the best thing for you and your vehicle. We understand trust is earned, and that’s our goal at Sussman Automotive Group. 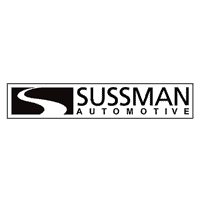 Call a Sussman Service Center near Philadelphia to learn more about diagnostic, repair, and part pricing.